Navroze Contractor has been the cinematographer for many path breaking and award winning feature films. ‘Duvidha’ directed by Mani Kaul, ‘22nd June 1897’, ‘Limited Manuski’ and ‘Devi Ahilya Bai’ directed by Nachiket Patwardhan, ‘Percy’ directed by Pervez Merwanji, ‘Love In the Time of Malaria’ directed by Sanjiv Shah, and ‘Devarkadu’ directed by Pattabhi Rama Reddy being a few of them. He also shot ‘Frames’, directed by Chetan Shah, the first feature film in India to be shot on High Definition format. He has also contributed to the documentary scene world wide, as his name is attached with films like ‘Balad of Pabu’ by George Luneau , ‘Dreams of the Dragon’s Children,’ shot entirely in China, by Pierre Hoffmann, ‘Are You Listening’ by Martha Stewart, and the ‘Last House in Bombay ‘ by Luke Jennings. His major Indian films are ‘All in the Family’ by Ketan Mehta, ‘What Has happened to This City’, ‘Something Like a War’ and ‘The Legacy of Malthus’ by Deepa Dhanraj, and ‘Famine 87’ by Sanjiv Shah. 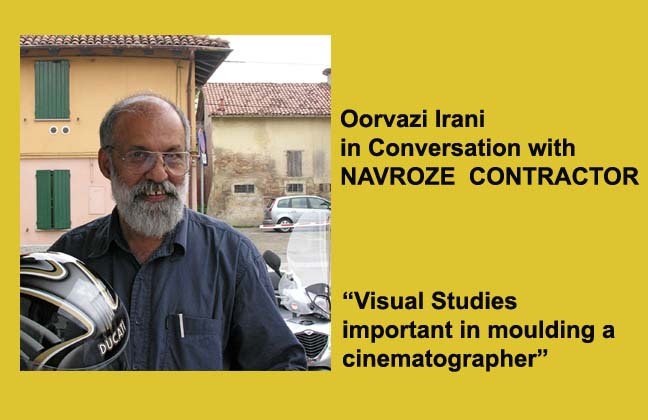 In a scenario where cinematography has hardly ever been a part of the story telling component of the film, Navroze Contractor redefines cinematography and talks about his passion and inspirations to Oorvazi Irani. Q. Do you see a great advantage for a cinematographer to be trained in the visual arts? How did your BA (Fine Arts) degree in painting and photography at the Faculty of Fine Arts, M. S. University of Baroda influence your work as a cinematographer? I feel visual studies is extremely important in molding a cinematographer, just watching films is not enough. In western art there is perspective, light and shade and extreme realism that needs to be studied because our traditional art has little of this. Our traditional sense of perspective is different and that needs to be studied too. This is all in case one gets to shoot a period film, or even for shooting scenes with extreme source lighting. If you haven’t seen Rembrandt seriously, you are at a disadvantage right away, I feel. Also, in an art school you study still photography and look at old and new masters who become reference points later on. Q. What is the first thing that you look for in a frame as a cinematographer? A. Light. I see light the very first thing. Without light, there is NO photography. In any location I go, for a film or otherwise, the first thing I notice is light. How is it falling in the room, how is it on faces, how is it in the open, in the night, in rain, in a dust storm, in my dreams… I am obsessed with light. Q. In photography you play with perspective and light but you rightly mention that Indian photographers and cinematographers have no reference point because our miniatures (Indian paintings) have no perspective nor light and shade. In fact the Renaissance painters were a great source of inspiration. In light of the above how can we create an Indian framing distinct in the visual style and who are the filmmakers who have been involved with such explorations. A. I am not sure whether there is a distinct Indian Visual Style. Cinema is an imported art, it needs huge amounts of gear, which needs a lot of learning, and it all came from the west. There are people who have tried hard to get an Indian Style. I can think of Guru Dutt, Satyajit Ray, Arvindan, Mani Kaul, Kumar Sahani and some. At the same time many of them were influenced by Bresson. I am not too sure on this. The early Bombay industry surely had a style borrowed from the stage. Q. How would you define the style of Mani Kaul as a Director? Do you see any specific influences in his work in regards Indian aesthetics or the French filmmaker Bresson, who he says had a major influence in his life? A. Mani is a cinema genius. He stands alone. Strong words but true. His style of functioning depends entirely on what subject he is tackling. I made DUVIDHA with him. The first thing I noticed was that he never had a script. It was all in his head. Most he had was the short story that he would privately consult when in doubt. Mani had studied Rajasthani miniature paintings so he had selected such locations and we made them as flat as we could, to get that perspective. Mani is also a very serious student of Indian classical music. I too have studied classical music but not as much as him, so often when a camera movement had to be made he would sing in my ear, that was my speed, rhythm of the shot. This was real fun, as no one else except the two of us knew what was going on with the camera. Mani had seen a lot of my still work done in Punjab when he was scouting locations of USKI ROTI. We would have long discussions about B&W, lenses, movements, light and concepts. Very little technical stuff. More of ideas and things like that. I am not a technical geek, nor is he. Technical stuff can be solved as and when we faced problems. Anyway, those days we had very little means and so had to make do with very little, too. It is from these evenings and showing him locations for his film that he promised I would shoot, if he ever made a color film. He stuck by his word. That’s how I got to be on DUVIDHA. It was my first EVER film. Oh yes, he said he was influenced by Bresson but I think except for working the actors, I didn’t notice anything else. Q. Could you share with us the experience of working with Mani Kaul while shooting his films? How did you go about planning and preparing for his films? Could you describe the process involved in shooting an important scene from one of his films? A. I remember the night scenes well. We shot DUVIDHA on Kodachrome Reversal film. Daylight was 25 ASA and artificial was 40 ASA. Today no one can imagine such slow stock. The village in which we shot could not take the load of lights. So all the sequences were shot only with two sun guns and oil lamps. The film was so slow we had to place the lights very close to the actors, often so close we thought the clothes would catch fire. Whatever we did, the results were beautiful. Q. What according to you is the key role of a Cinematographer versus a Director in the visual department? A. Simply put, the cinematographer is the eye of the director. Q. To understand the dynamics of the French New Wave in cinema, how would you define the elements of Truffaut’s visual style as a reference in point to understand the elements that go into analyzing an aspect of a Director’s style belonging to a specific movement and the distinct choices made in terms of the visual dynamics of composition etc. A. I am not an expert on Truffaut, with all due respects. I admired, in the French New Wave, Goddard more. Goddard really made the camera completely mobile. He proved that the camera can be as fluid as the mind, non linear and even wavering, and still tell a story. Q. Could you share your enriching experience and lessons you learnt with Bhupendra Karia and Laszlo Kovacs who you went to train with. A. We will leave Karia out of this as we are talking cinematography. My real first guru was Mr. Nair (then lecturer in the cinematography department) at FTII. He taught me the basics of cinematography from the back door (as I was refused admission in cinematography..For not doing science!). I learnt everything about cameras, labs and film from him. The more interest I showed, the more he taught me. In one year I could work on any camera, do lab work, grade negatives, handle lights and even run a projector. I loved him. The course I took with Kovacs was very specialized. I had shot two feature films, several documentaries and ads before going to him. Kovacs showed us how to look. He showed us that the most important thing is to be able to look. That no situation was too challenging and never to say NO to a director. Observe, observe all the time. That is the research of a cinematographer. Never let equipment dictate; use it as your tool, like writer uses a pen. He used to keep saying that a cinematographer spends half his time solving problems, some parts managing his team and only a small part in aesthetic pursuit. The cinematographer has to relate to everything, art director, actor, sound recoridist and even the editor, besides his own crew and the labs. Be disciplined, be healthy because the demands are tremendous. The director has the privilege to be crazy, not a cinematographer. Let me tell you, unlike American teachers, he was very tough and extremely demanding. We would start 7am ad end at 11 pm. Breakfast, lunch and dinner had the smallest time given to them. He never once spoke about cameras, lenses, film stock and lights technically, only what you could do with them, only ideas and moods. Q. You have been personally part of a very strict disciplined professional training in your life and have been fortunate to interact and assist great artists. As a teacher in the visual arts what would be your advice to an aspiring passionate filmmaker or cinematographer who does not have the means to go to a training school or assist another professional in the field to follow as a routine or discipline to develop and expand his visual skill and understanding. A. In the above answers I have said most that is needed to be a cinematographer. Today, with the invention and accessibility of MINDV cameras people have gone haywire. Only because it is cheap. They have lost discretion in shooting and hardly pay any attention to the quality of the visual, relying solely on the auto image that today’s cameras provide. With the screen popping out on the camera even the ‘point of view’ is blurred. Holding it down to your arms length, is the navel’s point of view, I simply say pay more attention. Shooting hundreds of hours is no virtue, it doesn’t mean anything, and it only means relying on fluke. On the flip side the new equipment has also demystified cinematography, which is a good thing. It is very essential for an upcoming person to assist someone or go to school to train. It not only teaches you the techniques but also how to be with people. After all, film making is a collective activity. Maybe I am wrong, but so far I don’t know of anyone who has come up entirely on his/her own. Q. Being actively involved in the documentary field of filmmaking for the past many years how would you define the documentary form in the present times? A. It is alive and kicking, thanks to the cheap mobile gear, tapes and editing setups. Q. Among the many important documentaries photographed by you, could you single out a few challenges as a cinematographer that you had to face on some particular projects and how did you overcome them? A. The biggest challenge in any documentary are the people you film. Make them relax, make them feel important, don’t make yourself over burdened with gear, this intimidates your subjects. Be polite at all time but be strong willed. Read and react with different situations. You’ll overcome everything. Q. What is the role of technology in your art and craft? A. In my own work except being able to get good quality images, I don’t much dabble in technology. I am glad that today’s cameras have become smaller, lighter and better all round. I am not a techno geek. My technical expert is Sanjiv Shah, a terrific documentary filmmaker, and computer geek and in the digital field ‘know all’. I have no ego problems on consulting him, or anyone I respect. Today there is endless technology to play with. It’s not my priority. Q. What was it like to study video production at Sony Corporation, Tokyo, Japan? A. Very different from anything else. The Japanese were very casual about technology and would never stop you till you made a mistake! If you were working on a table and your camera was going to fall off, they will let it fall off, like that. They would show you something ONLY ONCE. If you didn’t pay attention then, you lost that point because it would never be repeated. They were maniacal about cleanliness and being on time. Q. Do you feel you have a signature visual style to your work? A. Tough question for any cameraman. Each film needs different approaches and different styles. People say my documentaries look like feature films, and feature films look like documentaries. I guess that is my ‘signature’. Q. Were you influenced by the style of any filmmaker or cinematographer and in what way does it show in your work? A. The biggest influence in all my work has been the still photographs of W. Eugene Smith, and my cinema influence is from Latin American films. I like the rhythms, blood, sweat and tears in Cuban films. I admire the rawness and magical realism in them. They have furious percussion going on even in a tender love scene! Fantastic. In my work, I guess it shows in how raw my images are. Q. Have you used a light plot or a lens plot in any of your films for a creative end? A. Yes. In the film PERCY, the most. Almost the entire film is shot with a 35mm lens. Film, lights and filters always on daylight setting. This was to get the warm look though out. It was after long discussions with Pervez Merwanji. Q. If you look back at your first film you made as a cinematographer as the passing out film of FTII, what comes to your mind? A. I dropped out after thirteen months, and that as a direction student. My first film was photographed by Balu Mahendru, and I made it look like the Seventh Seal of Bergman. 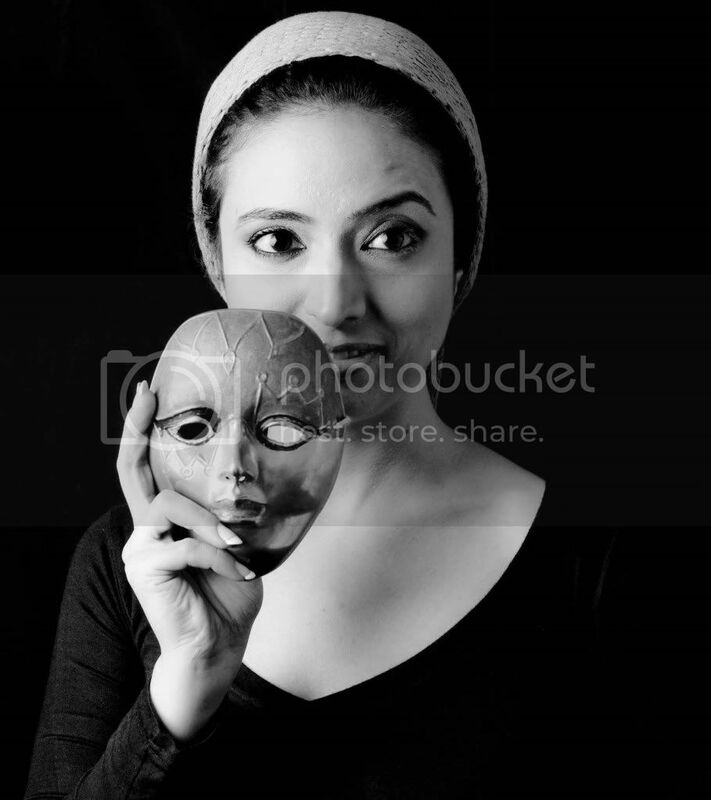 It was a surreal short film as then my influence in Art School was Dali, and in FTII Luis Bunuel. Q. Is a director in you waiting to be born or that’s for another lifetime? A. I have directed a couple of shorts, written a feature film script but never perused it.